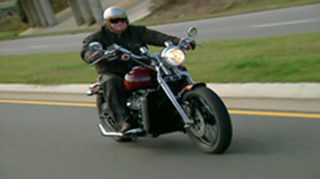 Game's weekend buffet of action feeds a cycle junkie's every aspect of the two-wheeled lifestyle. 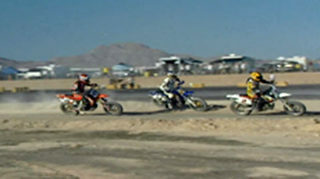 The flat trackers duke it out on the half-mile dirt track, and the road racers ust their way through the twisties on Top Dead Center. Today Top Dead Center takes you to Dallas for a high-speed look at this year's most interesting bikes, why they're important and what they cost. 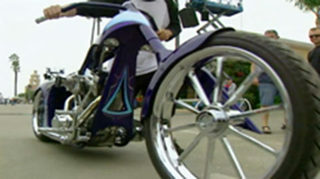 Top Dead Center goes to Del Mar, one of the hottest events of the year for anyone who appreciates a ride on two wheels. 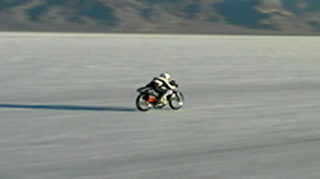 Top Dead Center goes to the Bonneville Salt Flats, one of the flattests places of year, where the 300, 400, 500 and 600 - mile per hour barriers have been broken. 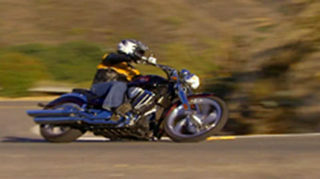 In this episode, we see why the motorcycle category is one of the most popular. Top Dead Center takes a look at Speedway Motorcycles. 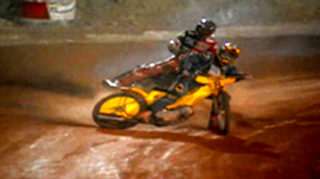 Speedway motorcycles are 500cc four-stroke singles on methanol with no brakes. 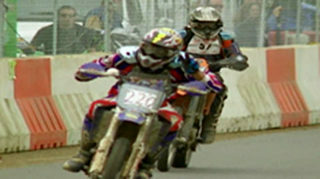 They race in a series of heats, semis and mains, in fast-paced, unpredictable racing. 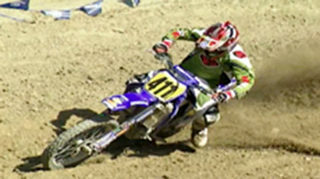 Today Top Dead Center takes you for a ride on the way back machine with vintage MX! With 5 two-strokes to choose from, who has the year's best 125 motorcrosser? Will it be from Japan or Austria? Find out on Top Dead Center. 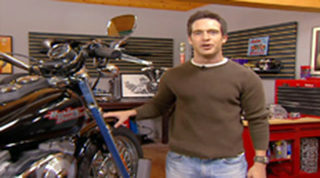 Also, we'll show you how to get more bite in our sport bike project of the week. On Top Dead Center, we'll showcase the race Steve McQueen made famous. We're going to ellinsore, and then it's the world's biggest V-twin. Well test the Volcan, and later we take a look at suspension upgrades in our project of the week. 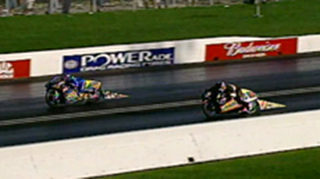 Today on Top Dead Center, if you're in to hot bikes, low ETs and 200 mph runs, get ready for a seven second thrill ride called pro stock. 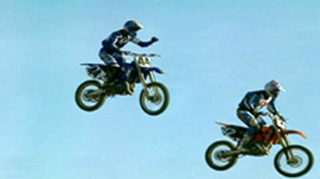 Today on Top Dead center, we're going to find out who is the best in the woods at the World Off-road Championship. 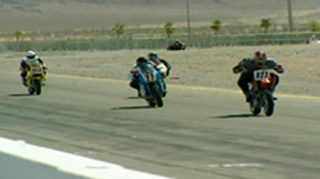 On Top Dead Center, club Road Racing gets leather in Las Vegas. 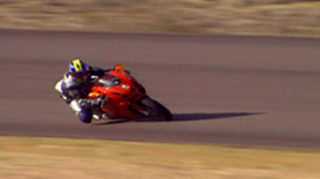 We'll look at the sport of sport bike racing. Then, it's Yamaha's new 600 naked sport, the fast and affordable FZ6. 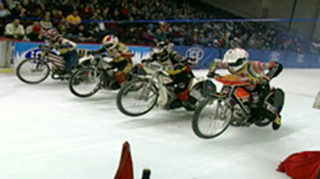 On Top Dead Center, we see 59 teams of gladiators duke it out for bragging rights during an ice race in Wisconsin. Then, Suzuki's swift new middleweight, the potent GSX-R600. 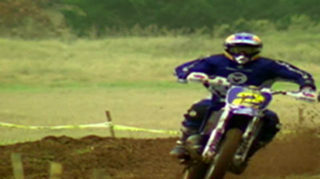 We also stroke a two stroke in our project of the week. On Top Dead Center, it's all about Daytona. For 1000s of fans, it's more than just about a race; it's a party. 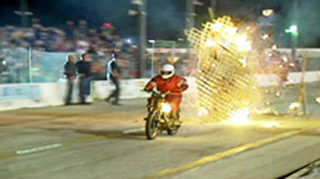 Bike Week has been a Daytona tradition since 1937 and surprisingly, little has changed over the years. Today Top Dead Center takes you to Las Vegas for the Championship Speedway short track on ice and road testing the new Yahama Midnight Roadstar Cruiser! On Top Dead Center, we're in Las Vegas at the Championship Speedway short track on ice, and it's hot. Then, we test Yamaha's new midnight roadstar cruiser and we dial in MX suspension with Privateer Tyson Hadsel in our project of the week. 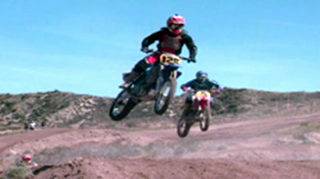 Today on Top Dead Center, we're going to take a look at the latest thrill in bike racing, Super Moto. Plus, we'll test Honda's awesome new middle weight, the 600RR. Then it's fuel injection power tuning in our project of the week. Top Dead Center takes a look at who makes the world's biggest spot bike. 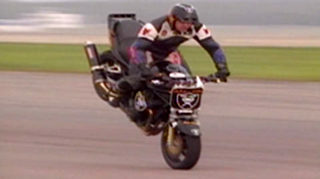 Plus, we spend a day with George Bryce, the guru behind the world's quickest pro stock bikes. Then it's liquid performance inside and out, in our project of the week. On Top Dead Center, we address America's love affair with the hard tail, and we'll build a Texas-style chopper from scratch at Big Daddy's. 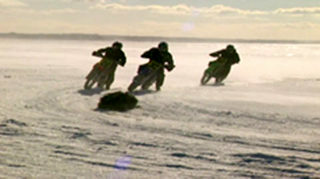 Then it's full-tail dune riding when we cross the border for the ultimate fun in the sun. Today on Top Dead Center, it's Big Daddy's Chopper Shop in Porter, Texas, and phase two of our old style chopper build-up. Then, we'll drop 50 degrees for some short track ice racing in Wisconsin. 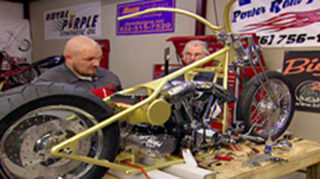 Today on Top Dead Center, Big Daddy and his crew add the final nuts and bolts to our old school Chopper. Plus, balance and precision come together at the world trials competition from Duluth, Minnesota.